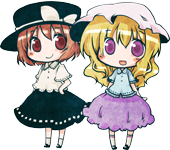 ZUN updated his blog today with some exciting news! <Moriya> This post has been edited with Drake's translation. The main title can be translated as "Eastern Jade Scepter of the Skies" or "Eastern Jade Ladle of the Skies". New character on the demo CD. It's been a while. The weather over here has suddenly gotten hotter. 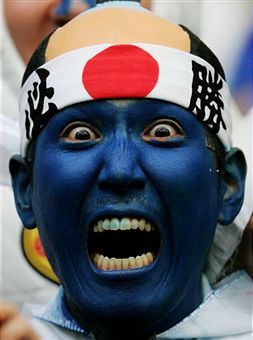 On the last day of Golden Week (May 7), I will also be participating in Reitaisai. The work I'll be presenting this time is below. I'll be selling the trial version at Reitaisai (if I make it in time). The full version is planned for Summer Comiket. Please speculate about the story from the screenshots. Doing a 180 from the last work, I'm going for a really light and refreshing feeling, I guess? The protagonists this time are; Reimu Hakurei, Marisa Kirisame, Tanned Cirno, and Aya Shameimaru. What kind of adventure is this even supposed to turn into, I wonder. Right now I'm in crunch time, so the screenshots are highly likely to change, but it'll probably stay an STG. I'd sure like to release the demo for Reitaisai. And with that, IT'S TENKUUSHOU-TIME! 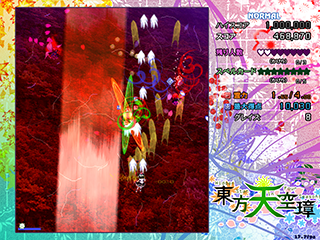 Screenshots (and blog text) also show playable Aya. 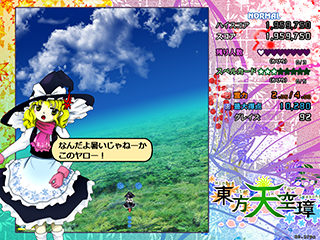 According to ZUN, he thinks the story this time has a more light, refreshing feeling (unlike previous works). Cirno had too much sun! Ya know, i'm extremely hyped for playable Cirno! Also, seems like she finally grew back her bottom 2 wings, they were missing in DDC and ISC. Is this really Touhou 16? Or is it like a dot version which we had for Fairy Wars and such. Never mind, I am mega dumb for not reading ZUN's message. 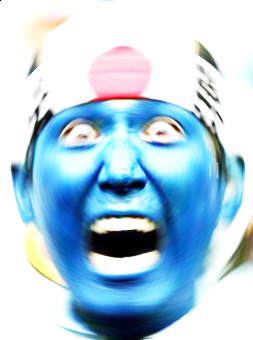 > Playable character: Hakurei Reimu, Kirisame Marisa, Tanned Cirno, Shameimaru Aya. I am now extremely curious for all that artwork. 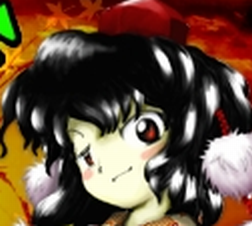 ZUN refers to it using "16" in the blog post. Good thing I checked twitter before going to bed! 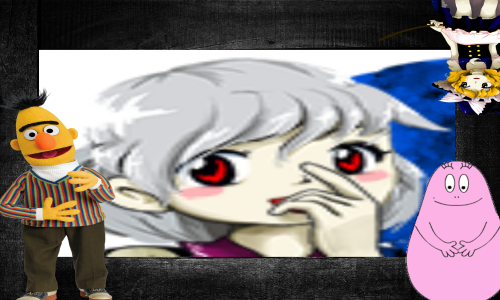 * Yes, it is Touhou 16. The trial will be released at Reitaisai (assuming it's ready by then) and the final will be at Summer Comiket. 天空 (tenkuu) translates to "sky", but I haven't been able to track down a meaning for 璋 (shou). * Four playable characters: Reimu, Marisa, Tanned Cirno (yes, the post actually says that) and Aya. * The game is described as a "return to the beginning" with a "simple feeling" according to Google Translate (an actual translation would be appreciated). The only indication of what the system might involve is the meter on the lower left of the screen. This game looks interesting, can't wait to play it. The title screen screams a gore game to me oh my. This aesthetic is very pleasant but feels very unfamiliar to the series. Interested in where this goes. Wow! I was not expecting such a quick tease of the game. I'm excited how this game gonna turn out! The title screen is way too flashy imo, so it kinda looks like MS paint. Is there gonna be a plot involved why Cirno is tanned? Was she cursed by Lily White? I can't wait to find out! And don't forget the obligatory Mima is the hidden star. Now that I look, it seems that all four have a different symbol in the corner. Reimu has something pink (presumably cherry blossoms), Aya has a flower, Marisa has something blue (presumably a snowflake). I wonder if that'll have some gameplay aspect or if it's just aesthetic. 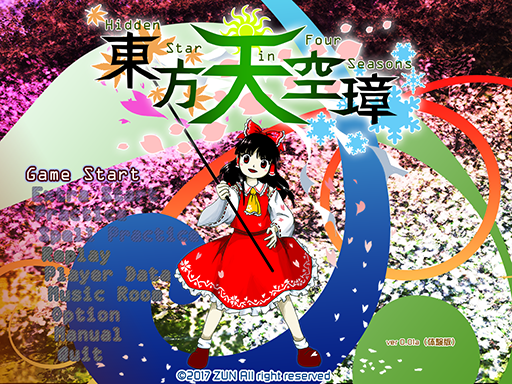 Cirno being summer might be weird, but remember, the title is " Hidden Star in Four Seasons". How more hidden can you be than an ice spirit during summer? I had just started playing LoLK again, too, and was speculating to myself yesterday that the next game will likely be some "back to basics" angle. But I was really not expecting an announcement this soon. Holy moly! And yes, given the "SUMMER" in the background of Cirno, I'm guessing each character has its own season. Aya will likely be autumn. Which means... No Mima this game, but TH17 will be a return to MS!!! 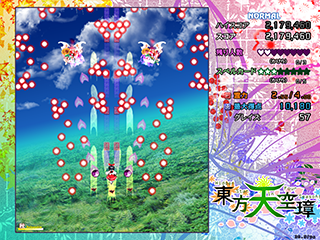 Maybe ZUN wants to go back to the usual Shmup-system he used, so there might not be a Pointdevice Mode in this one...? Sir Amat, do you happen to have the Smug Aya Face handy? I need it for reasons. Pointdevice was explicitly a one-off for kicks. It probably won't happen again (at least in a main title). If she really represents summer, then why would she wear a vine with flowers and a sunflower on her red ribbon? i was thinking about it, and it makes sense, so i guess i'll share it if thats alright !! do you think this will be, story-wise, a "disconnect" like it used tew be back in the days of EoSD, PCB, etc, where the stories only happened consecutively but were not exactly directly correlated or caused by each other like with 10-15.5? after all, ZUN said hes gonna "return to basics" and that it is a 'fresh start'...! 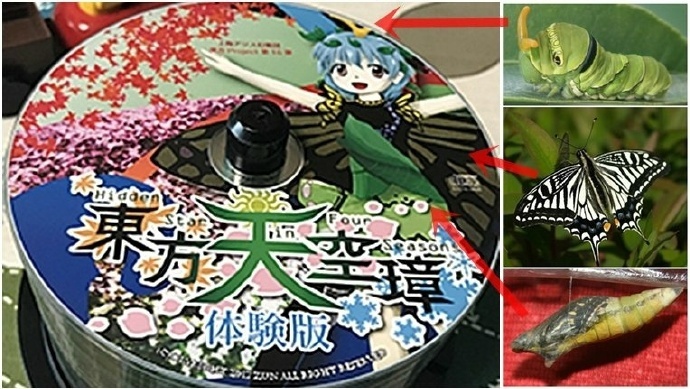 plus, going from what we know of 15.5, i can't think of anything correlating for "perfect possession" with the four seasons... especially anything directly involving aya or tan-no (tanned cirno)... but then again, we don't know much of the story, but that's the conclusion i can draw from all of this so far! Isn't sunflower supposed to represent summer though ? While I agree that the vine with flowers bugs me too. It would have been fun if Marisa would carry that vine, it would be like a pc 98 reference, since Marisa used to "transform" her broom into a vine when she fought during SoEW and LLS. Damn, it's beginning to look like a "Mima's back" thing but with Yuuka now, I mean, a fighting game about flowers, a shooter about the four seasons while Yuuka is known as the "flower master of four seasons"...what the hell ? Why do I feel that this is completely not true and we're getting more of the same depressingly overly dragged out Sumireko/Lunarian plot? But with 'going back to basics' didn't he say that before DDC? And that was the complete lie. Marisa's complaining about how hot it is and either blaming someone for it or just venting. 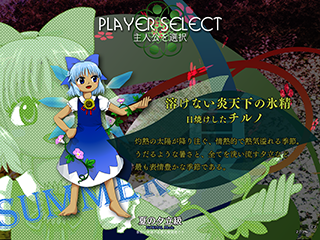 It's extremely hard to read the text in the character select screenshot, but Cirno's title is probably "The Unmelting Ice Fairy of the Blazing Sky" but also phrased to imply that she is (naturally) the strongest.